If you’ve ever made hollandaise sauce – even the much-easier-than-the-traditional version in the blender – you probably know it’s a bit tricky to do right. 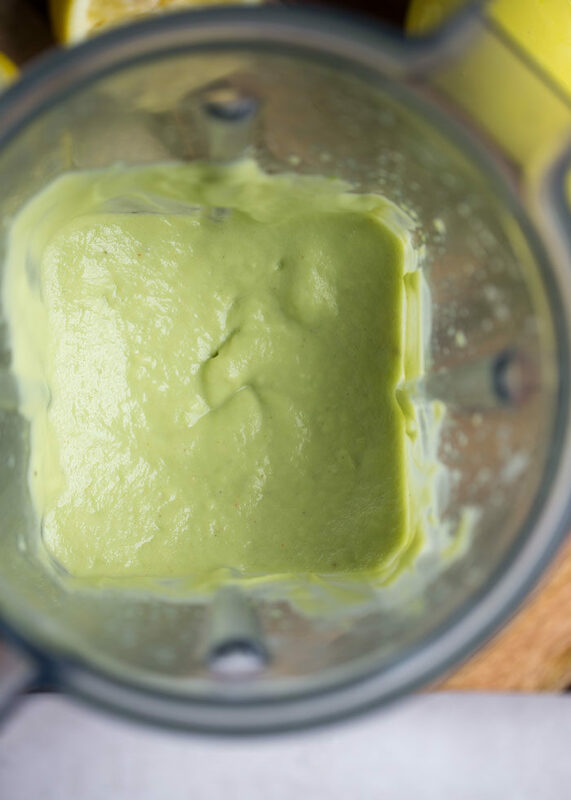 Which is only one of several reasons why I’m obsessed with making avocado hollandaise sauce instead. 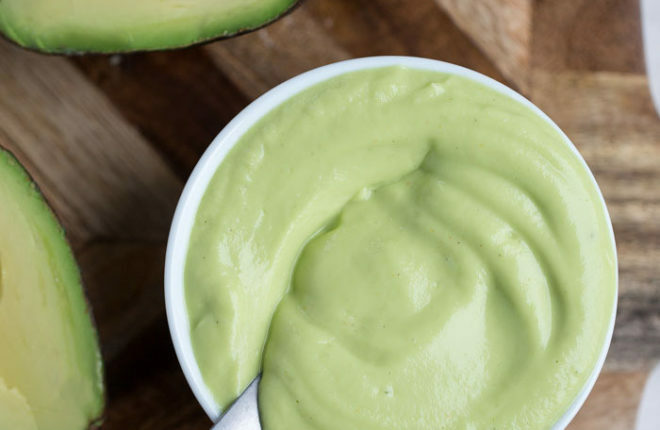 Stating the obvious, but it’s made with avocado, an incredible-tasting, healthy fat. It only takes a handful of simple ingredients. It whips up in 3 minutes flat. 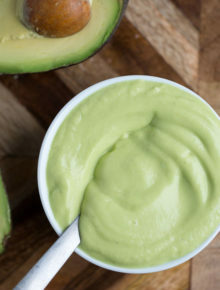 Are you ready to make avocado hollandaise? Well then, let’s do this thing! Okay! So you’ve got your avocado. Add to that the juice of one lemon, some salt and white pepper (black pepper is fine if you prefer – I just like that you can’t see the white pepper in this sauce), and a pinch of cayenne. You’ll also need some hot water. That is, quite literally, all you need. Could it be more simple?! And puree, adding a bit more hot water until you get to a consistency you’re happy with. Taste and add some more salt and pepper if you like. 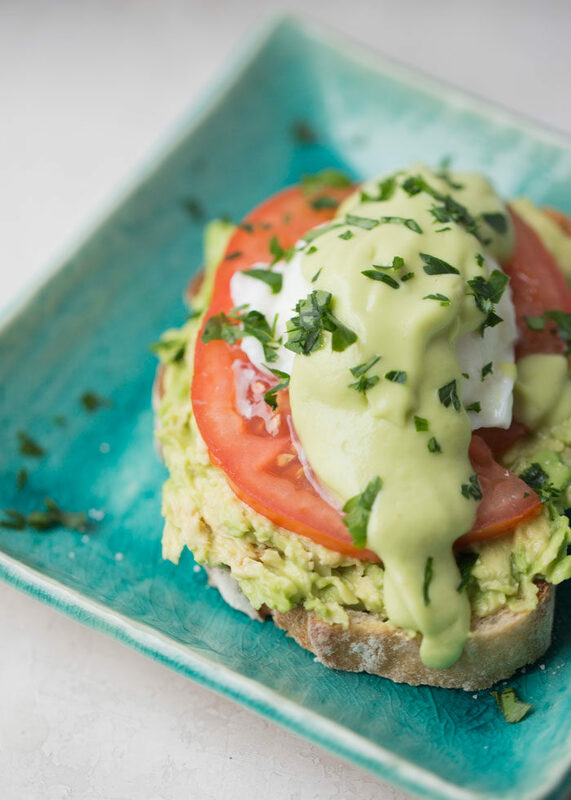 If you want a warmer avocado hollandaise, you can place it in a small pan over heat, stirring frequently, until warm – about 5 minutes. How do I like to eat it? Well, on eggs benedict, of course. Especially Avocado Toast Eggs Benedict (yesssss). It’s also absolute creamy perfection over lightly steamed asparagus. YUM. 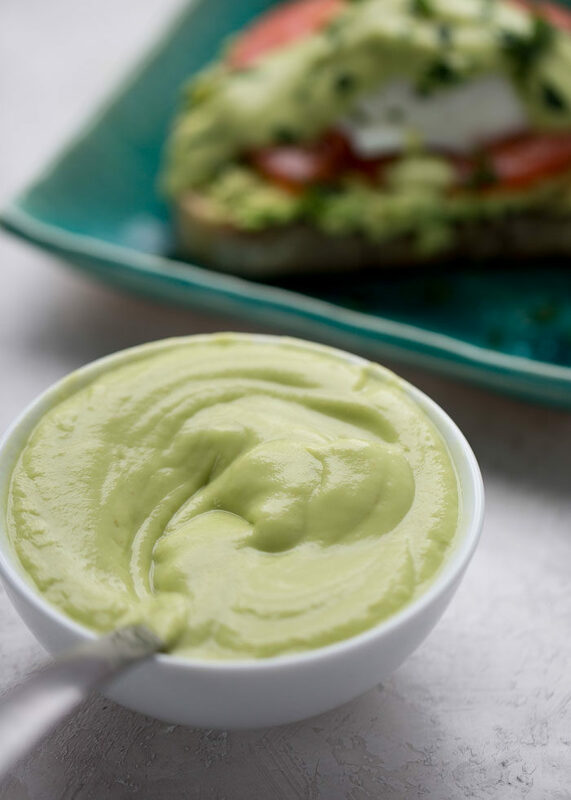 What will YOU do with your avocado hollandaise sauce? Share in the comments below! 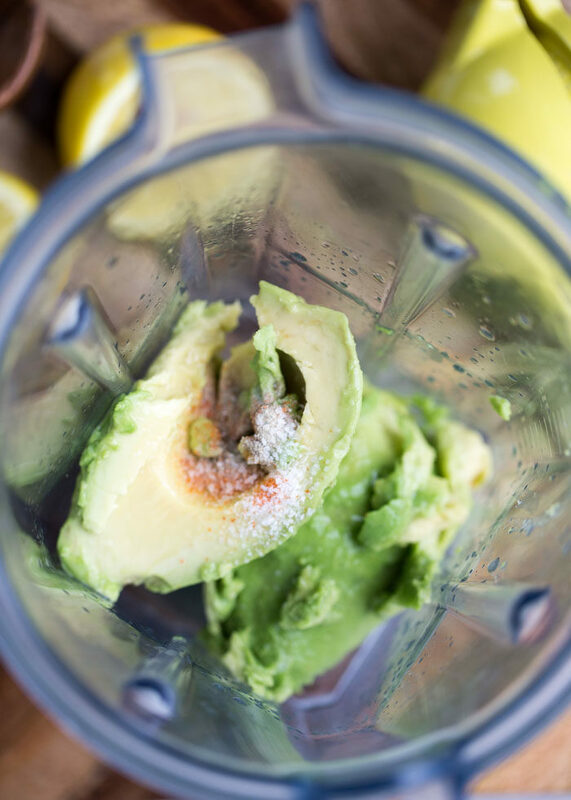 Place avocado, lemon juice, cayenne, 1/4 teaspoon salt, 1/8 teaspoon pepper, and 1/4 cup water into the pitcher of your blender. Puree until smooth, drizzling in additional water as need to create a smooth, pourable consistency. And serve. It’s that simple! 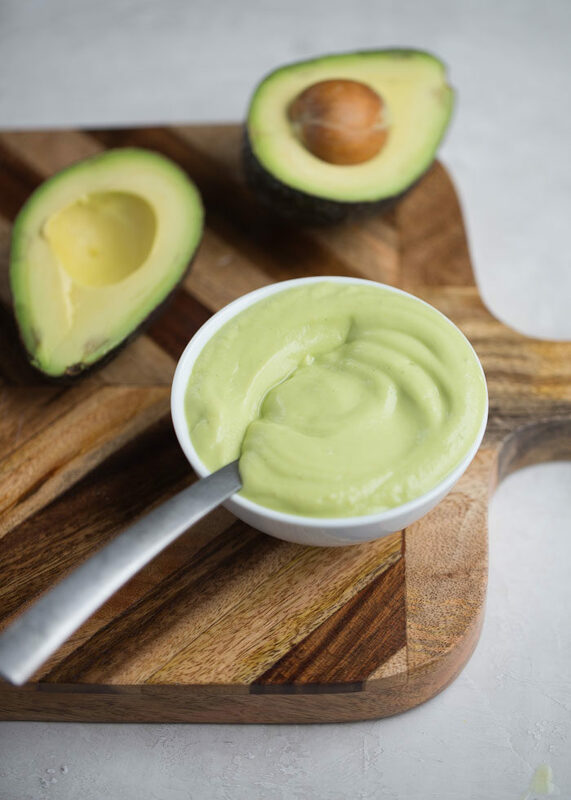 If you want a warmer avocado hollandaise, you can place it in a small pan over low heat, stirring frequently, until warm – about 5 minutes. Add a little more water if needed. Keeps refrigerated in an airtight container for 2-3 days. Reheat by repeating step 4 (you’ll likely need to add a bit of water). 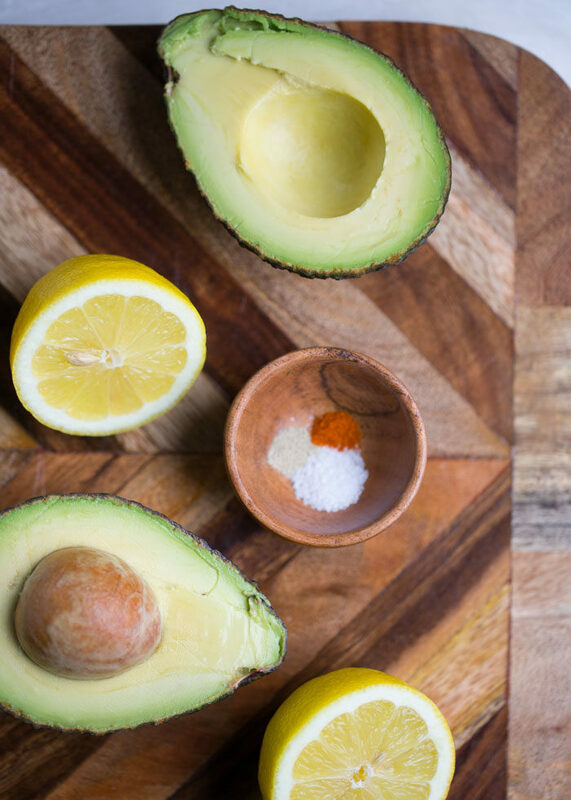 * Can substitute black pepper if desired – white pepper is used here so you don’t see black specks in your avocado hollandaise. Just made this to serve over poached eggs with tater tots and ham. WOW. So easy and delicious! thanks so much. I’m so glad you liked it! Isn’t it crazy simple?! So basically add water to guacamole. Got it.